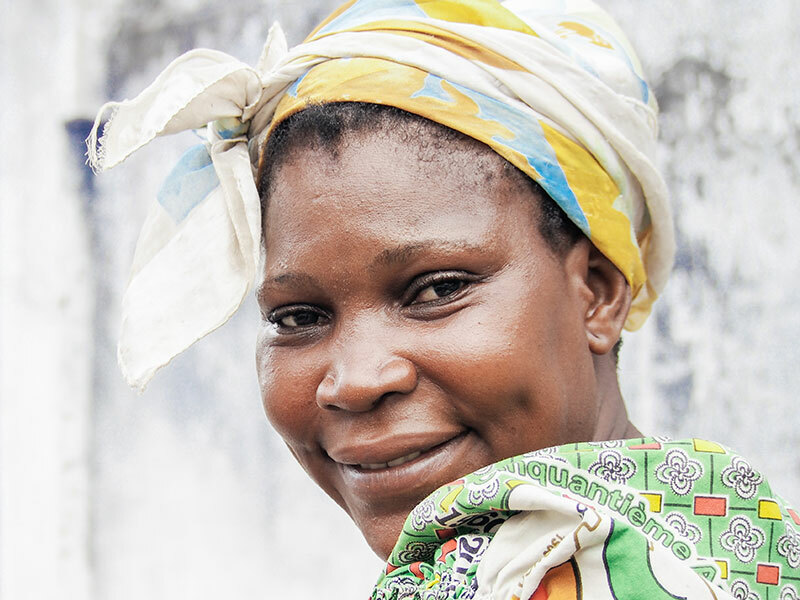 At 17 years old in the Republic of Congo, Francoise Koudziomina found herself in a predicament: After discovering she was pregnant, her relationship fell apart, leaving her as a single mother and forcing her to drop out of school. Just two years later, Francoise’s mother died, leaving her as the caretaker for her younger brother, who was the same age as her son. 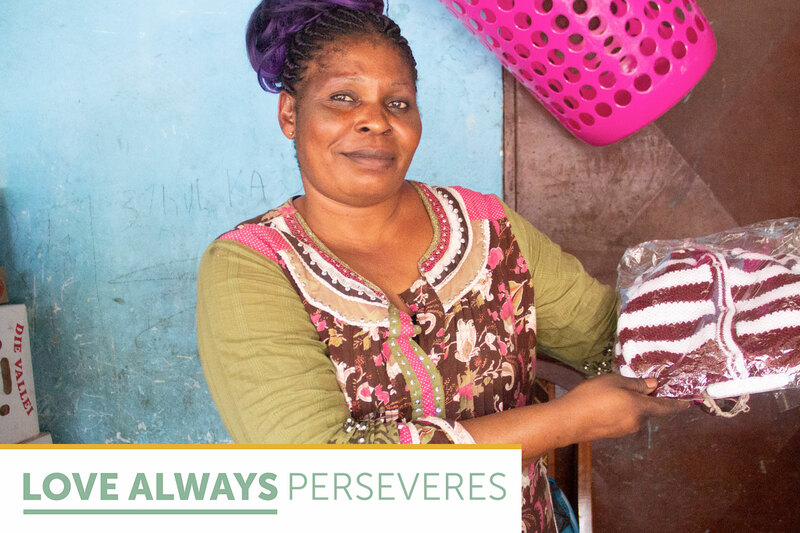 As 19-year-old Francoise scrambled to provide for two toddlers, she made herself a promise: One day, she’d provide for other young, single mothers in situations like hers. From a young age, Francoise had loved to knit, and in 1997, she opened a business selling clothing for babies and toddlers. 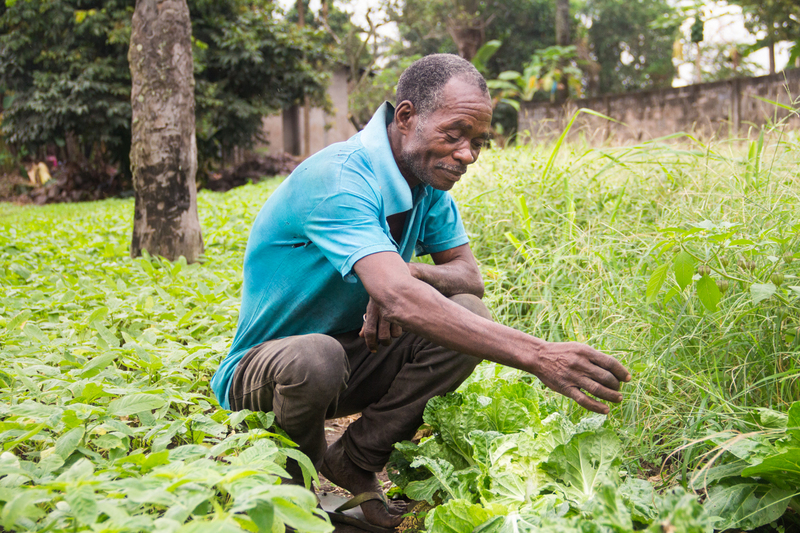 With her natural skill, Francoise worked tenaciously to provide for her brother and son. While Francoise was always able to make ends meet, she lived in a state of constant stress about making enough money to meet their needs. That’s the response Mikhal Szabo came to expect whenever she told new acquaintances she was double majoring in accounting and French. 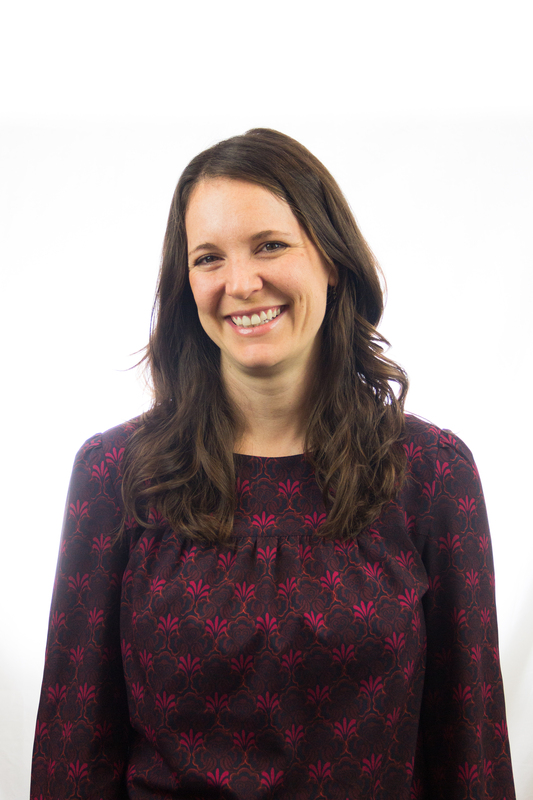 Her interest in languages, culture, anthropology, and international studies didn’t seem to mesh with the risk-averse accountant stereotype, but she followed her passions anyway. As she went on to earn her MBA in international economic development after a few years in private accounting, Mikhal learned about microfinance and, ultimately, about HOPE International. 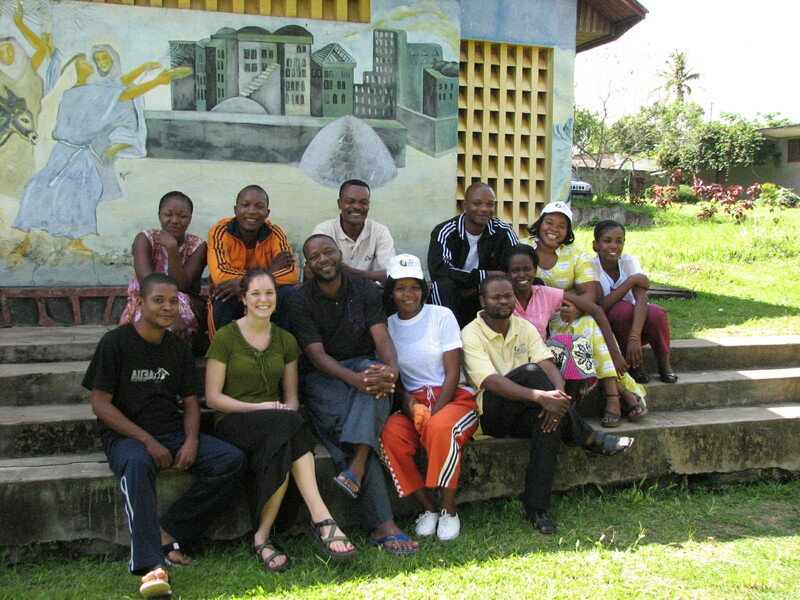 She was impressed both by HOPE’s holistic approach to poverty alleviation and their openness to learning. 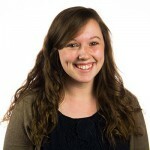 As part of her graduate work, she served as a finance intern with HOPE in the French-speaking Democratic Republic of Congo (DRC). As a young girl, Gisele spent countless hours in her mother’s tailor shop. Eager to imitate her mother’s skill, Gisele would cut up fabrics and design models of her own. With help from her father, Gisele later enrolled in sewing school and eventually opened a tailoring business in Brazzaville, the capital of the Republic of Congo. Despite her beautifully elaborate designs, Gisele’s profits weren’t enough to support her family, and she often had to use her business capital for their expenses, jeopardizing her business and stymying progress. 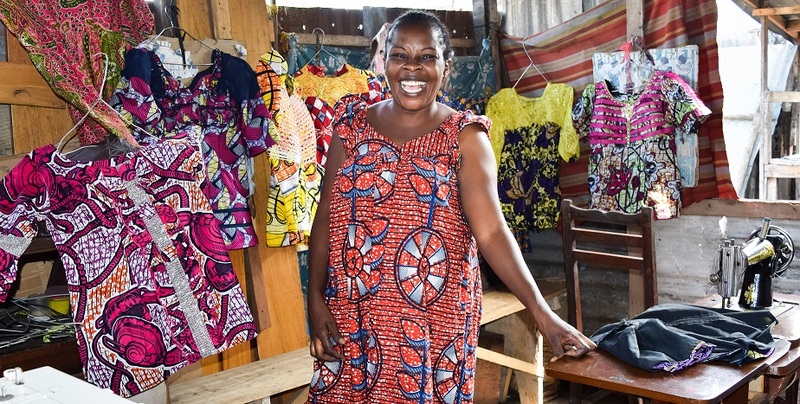 Seeking to diversify her business, Gisele received and repaid seven loans from HOPE Congo over the course of five years to expand her tailoring business by purchasing fabrics, sewing materials, and an electric sewing machine. Ever the entrepreneur, Gisele also used loans to expand into a new business selling smoked fish; small cakes; and foufou, a cassava-based Congolese dish. HOPE is the one who came to give me wings so that I can fly. 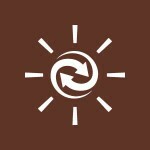 At HOPE, we want to capture stories of Christ’s transformative love from the field and share those stories with you. 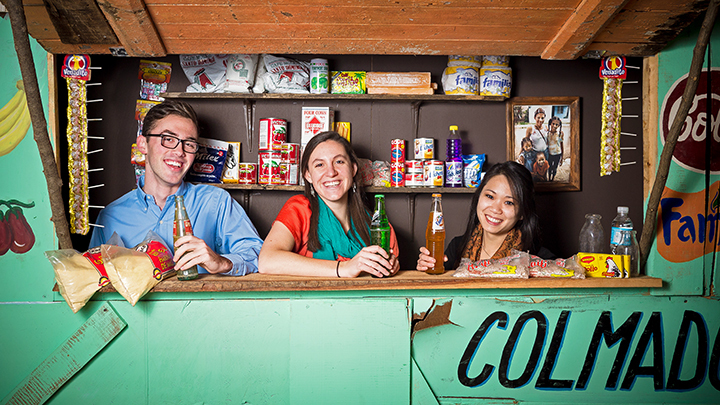 Enter Mara, Drake, and Joanne, HOPE’s first three field communications fellows! Their mission (which they chose to accept) is to listen to, document, and share the stories of the clients we serve—so others can hear about the life-changing, transformative power of Christ-centered microenterprise development. This Mother’s Day, HOPE is honoring the creativity, dedication, and love of the women we serve as they work to provide for their families. Join us in honoring the many roles mothers like Ghislaine play through our “We Heart Moms” campaign. 7 a.m. Early enough that clouds still cover the sky and the air is cool. Children in blue and white uniforms walk to school, and Brazzaville is waking up. Breakfast in Brazzaville depends on where you live. Some people prefer bread and eggs, others substitute manioc for the bread, and then you have one of the most bizarrely cross-cultural meals I have witnessed: spaghetti with beans and mayonnaise. Some of my colleagues eat it for breakfast, and the bite I had was surprisingly good. 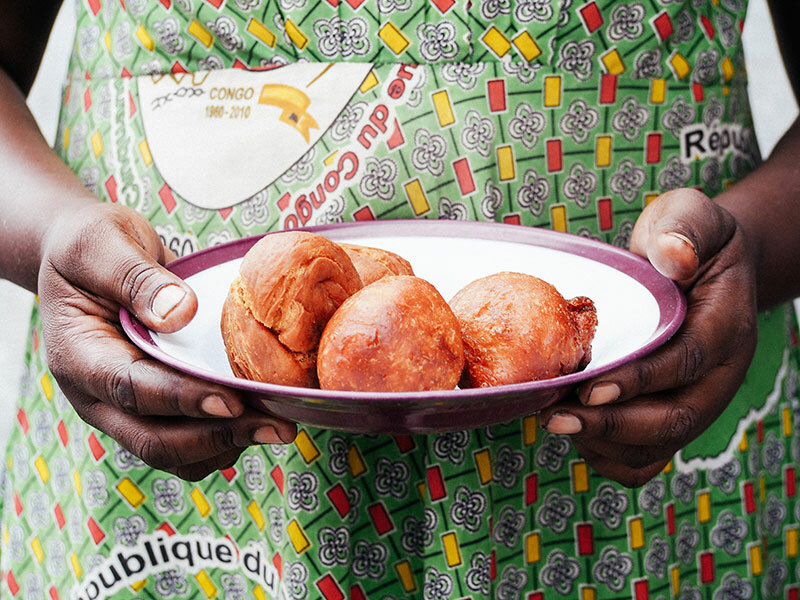 One of my favorite Congolese breakfast items would have to be beignets—essentially a Congolese doughnut, sweet and fried in oil. Here, beignets and riz-au-lait (sweet rice in milk) are made by Congolese mamas all around Brazzaville early in the morning, and on this particular morning I was finally going to try some of Mama Ghislaine’s beignets.